Swedish Magazines don’t interview South Australian startups all that often, but when they are interested in sustainable homewares, they talk to Swedish/Australian designer Suzanne Phillips. Suzanne’s business Susie-Lotta Designs launched in 2012 and produces screen-printed designs. Hand-cut stencils and squeegees are used to make Australian-designed, Scandinavian-inspired homewares. What had begun as a hobby was developed and transformed into a viable business with help from NEIS training and mentoring. Having worked in graphic design and commercial photography, Suzanne was keen to explore putting her skills into a new commercial venture. Suzanne has created a range of homewares featuring designs inspired by nature. The cute and often simple ideas are followed through with uncluttered, primary-coloured motifs, in a distinctly Scandinavian style. These values continue with cushion inserts made from 100% recycled PET bottles (70 bottles each insert!) and toys stuffed with non-GMO corn fibre. The paper used for printing is 100% recycled post-consumer paper, made in Australia. Fabrics are dyed with plant extracts and the studio uses solar power. Another way to tell a strong brand story is to have all the attributes you value, featured in the cutest products you can possibly make! 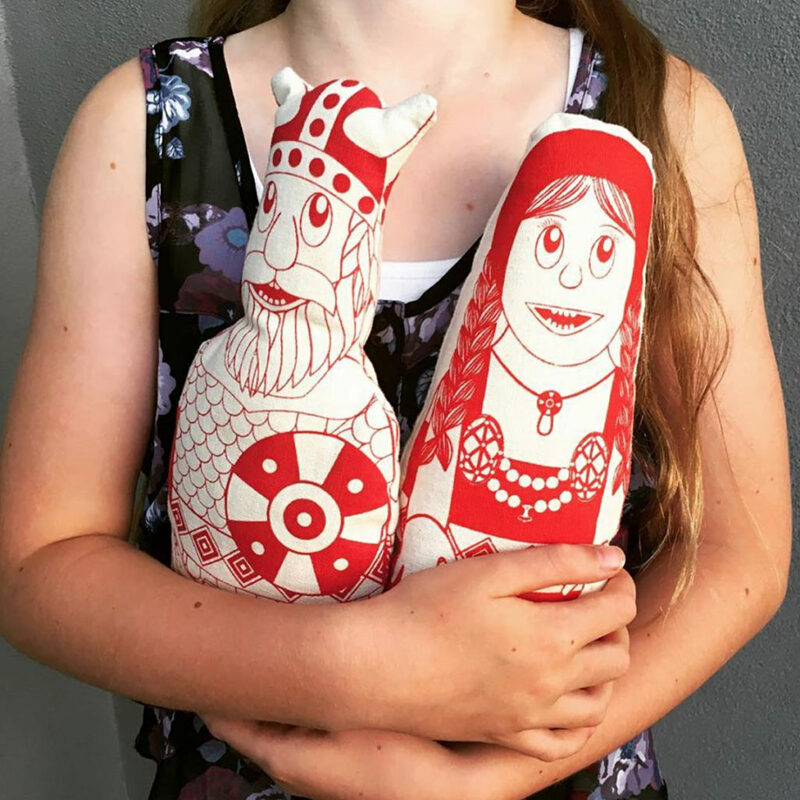 Thor and Freya the Viking couple are screen printed on hemp and organic cotton ready to be sewn by your child. They can be stuffed as toys, or left open as a hand puppets! 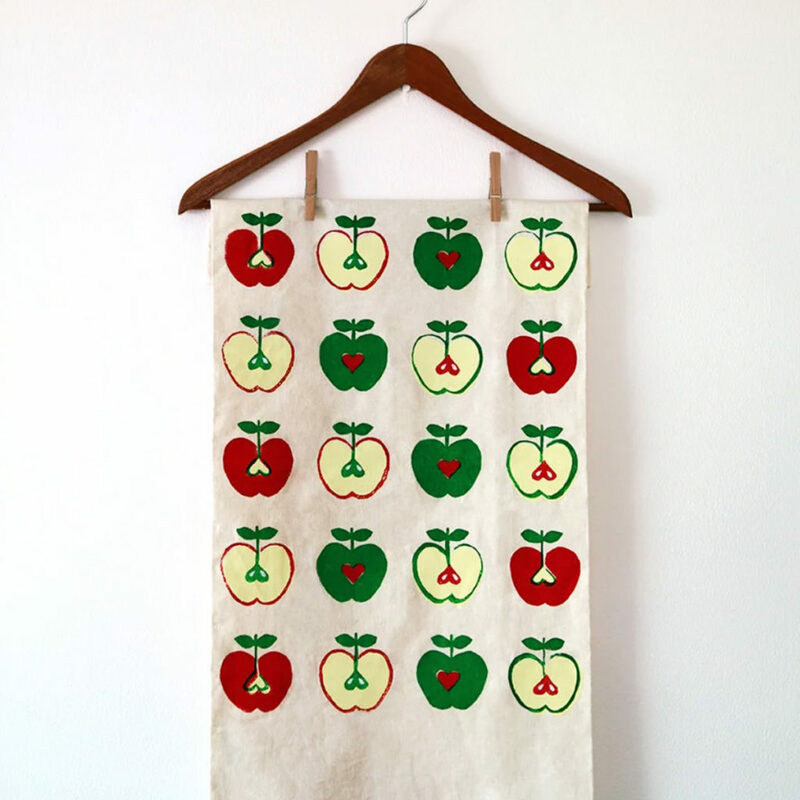 The Susie-Lotta Designs website, etsy store, Facebook and Instagram all feature well-photographed images from the range of tea towels, dishcloths, tote bags, aprons, cushions, t-shirts and more; telling a consistent and very Scandinavian inspired story. 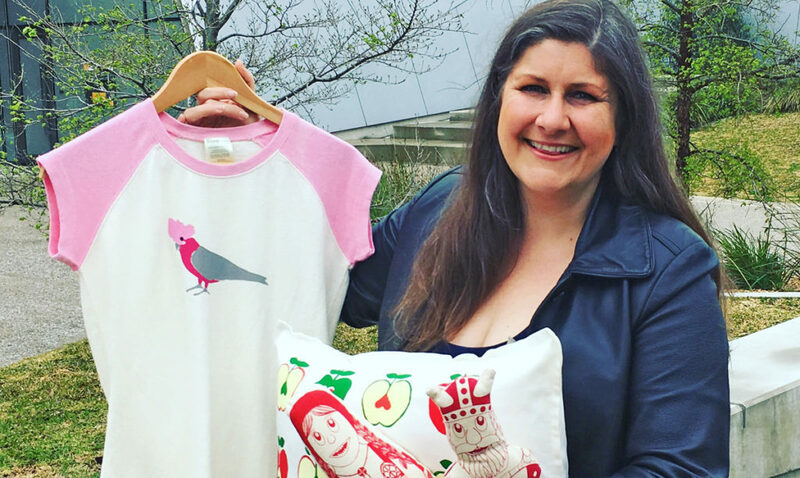 Following the lessons and advice from her NEIS training, Suzanne has had great success selling her textiles and homewares in shops and markets locally, interstate and internationally. Her designs have been sold in the Art Gallery of South Australia’s shop, and Suzanne has often been called upon to design and screen-print for other South Australian businesses too. © Photo of Suzanne by Keryn Stevens.